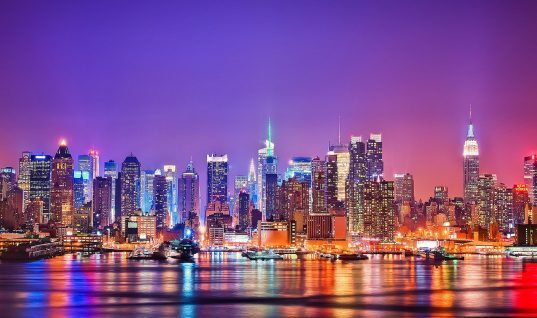 While the weather in New York City may not be favorable during the summer, Manhattan has a lot of other great things to offer. For example, summer is the best time to see your favorite artist perform live in concert in the city. Countless musicians pass through NYC on their summer tours and practically all of their shows are worth checking out. Here is a list of concerts that you should definitely check out this July in New York City. July 10 & 11 – Taylor Swift at MetLife Stadium. With the release of her latest album 1989, Taylor Swift has transformed into one of the (if not the) biggest names in music. In its first week, 1989 sold 1.287 million copies and helped Taylor land her fourth tour, The 1989 World Tour. From firsthand experience, I can definitely say that Taylor puts on an incredible show and that this concert is not something that you want to miss. If you can score a ticket to either one of Taylor’s sold out nights at MetLife, I highly recommend that you attend. July 15 & 16 – Foo Fighters at Citi Field. Weeks after Dave Grohl fractured his leg onstage in Sweden, the Foo Fighters are back on the road and are coming to New York City on July 15th and 16th. The band is currently touring and performing songs from their eighth studio album, Sonic Highways. This is the Foo Fighters’ eighth concert tour as well, and if they continue to produce great music, there will surely be many more tours to come. July 26 – Nicki Minaj at Barclays Center. On July 26th, Nicki Minaj will perform live at the Barclays Center in Brooklyn with special guests Meek Mill (her fiancé), Rae Sremmurd, Tinashe, and Dej Loaf. This will be the sixth stop on the North American leg of Nicki’s tour. The setlist of this tour includes “Starships,” “Anaconda,” “Bang Bang,” and “Turn Me On.” Nicki is extremely vibrant and energetic and I’m sure her concert will be the same way. July 28 – George Ezra at Terminal 5. Newcomer George Ezra is set to perform at Terminal 5 on Tuesday, July 28. You may know George from his hit single “Budapest,” but there is so much more to him than just that one song. 22-year-old George has many other great tracks including “Blame It On Me” and “Cassy O.” Over the past two years, George has played many support spots for artists such as Tom Odell and Sam Smith, but now it’s his turn to be in the spotlight. July 31 – U2 at Madison Square Garden. U2 are currently touring their latest album, Songs of Innocence, and this tour will make eight stops in New York City on July 18th, 19th, 22nd, 23rd, 26th, 27th, 30th, and 31st. U2’s last tour (the U2 360 Tour) is currently the highest grossing concert tour ever, and many fans wonder if this tour (the iNNOCENCE + eXPERIENCE Tour) will live up to U2’s standards. If you live in the New York City area, this is definitely a concert you do not want to miss.